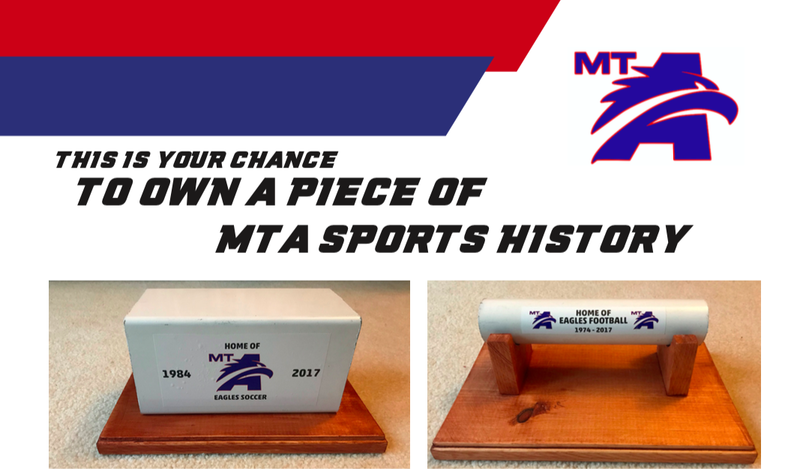 This is your chance to own an actual “piece” of MTA Sports history. If you’ve loved MTA Soccer or Football at the original MTA site, you can now purchase either a piece of the MTA Soccer or Football goals that are rich with Eagle victory. There are 100 available of this limited edition display, a one time only opportunity. $100 secures your piece of history, available for delivery in March of 2019. Download and print the order form below, or buy now with PayPal. Order yours while supplies last!